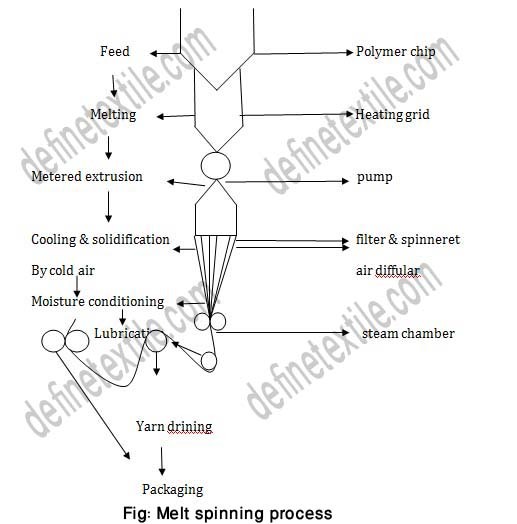 Melt Spinning: The process of spinning by which fiber or filament is produced from melted polymer chips by extruding though spinning continuous filament produced here. 1. 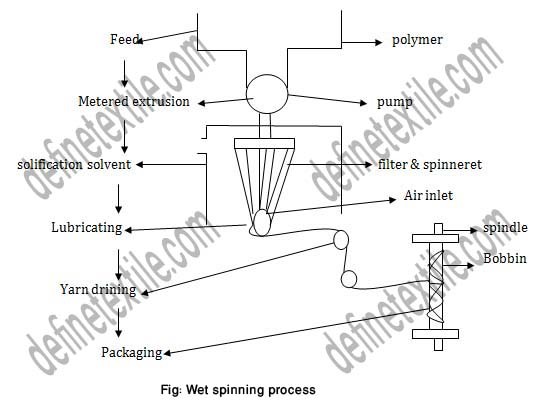 The polymer should not be volatile. 2. 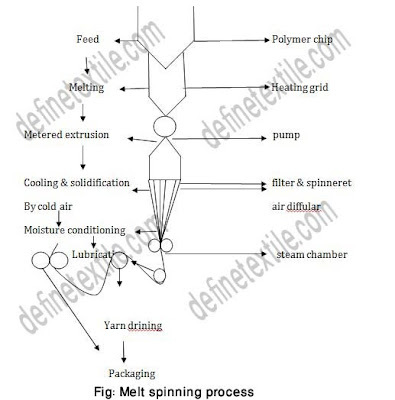 The melting point of polymer should be 30ºC less than its decomposition temperature. 1. 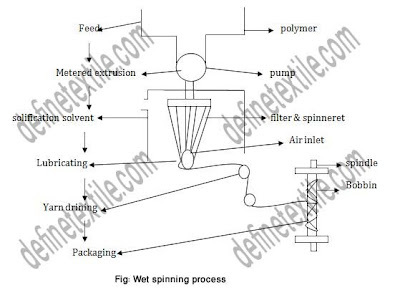 Can be used for both staple and continuous filament. 2. 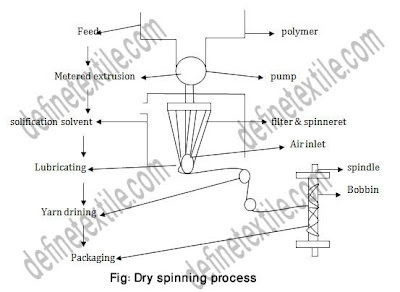 Direct and simple process. 4. High production speed (2500-3000) ft/min. 1. Required more proper maintained of machine. 2. Heat of input is high. 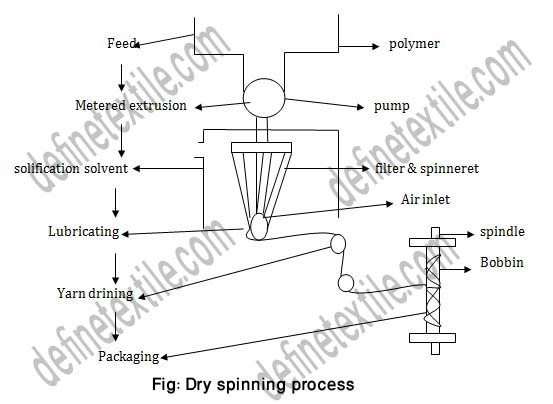 Dry spinning: In dry spinning the fiber forming polymer dissolved in a volatile solvent is introduced into a heated chamber where the solvent is evaporated and solid fiber is obtained through spinneret.